Just when you come to know that you are expecting a tiny being your life changes. Everything you do is well thought out, everything that gets into your body too is well checked for its benefits. Well I am sure I am not the only one like that because google and many pregnancy/parenting apps had just like me, more crazier mothers to be. I started with prenatal yoga when I was 14weeks pregnant. These are the basic exercises for moms to be that they could keep doing till the day of their delivery. The super 5 exercises which were my go to exercises that I stuck to throughout my pregnancy are given below. These are the exercises I would recommend to all. However it is advised to always check with your doctor or healthcare provider before starting any of it. 1. Cat and camel stretch- this is the most natural pose for all animals ( on all fours) being in this position helps strengthen the core abdominal muscles. You need to get on all fours, in a way that your hands get straight under your shoulders and the knees straight under your hips. Now you need to bring your neck down, stretch your back up arching, with chin touching your chest. hold it there for 10 seconds and get back to your normal position. 2. Kegel- kegel strengthens the perineal muscles during pregnancy and can also help you develop the ability to control these muscles while one is in labor and while delivering. Kegel is probably the simplest and easiest of exercises to perform with whole lot of benefits especially during pregnancy and post pregnancy. You just need to contract your pelvic muscles (just like we do while holding our pee), hold for few seconds and relax; again after 5-10 seconds repeat the process. 3. Pelvic tilts- this is another simple exercise that can be performed anywhere (kitchen, toilet, office). This helps in strengthening the abdominal muscles and reducing the back pain. 10-20 tilts a couple of times a day are recommended. The pelvic tilts can be done forward/backwards & sideways; during pregnancy forward/backward tilts are considered most useful. You need to stand straight with your feet shoulder distance apart. Put your hand on your lower waist; push your tummy towards the back in a way that only your hips(pelvic area) moves while the entire body remains still. 4. Squats- It is advised to initially start with half squats and then moving to full squats later, there are many variations in squats, I however stuck to standard squats during my pregnancy. Squatting helps in opening up the pelvic opening and is extremely helpful for a smoother delivery. Stand straight with your feet a bit more than shoulder length apart with your toes pointing outwards to get better balance. Put your hands on your thighs and lower your back in a squatting position. Ensure that your knees are not protruding outwards. 5. Walking- i started with walking for 20 minutes and increased gradually by my last trimester i was walking at least for an hour a day. 1. Butterfly pose:- strengthens the thigh and groin muscles and helps in a smooth delivery when practised regularly during pregnancy. 2. Pranayam:- these breathing exercises help in relieving stress; improve blood circulation and increase oxygen level in our body. Certain breathing exercises where one is required to hold the breath for long should be avoided. 3.Swimming (although I didn't do it):- Swimming has not one but many benefits during pregnancy; I couldn't swim because of harsh North-Indian winter and inaccessibility to a good swimming pool close by. 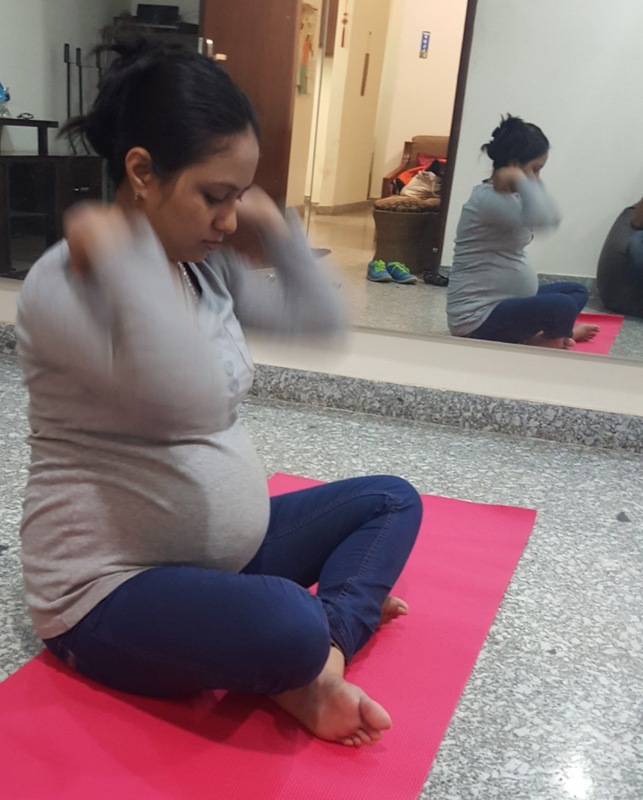 My prenatal yoga journey began with Rolly's Yoga Art in Mumbai; Rolly is a great instructor and a true guide, especially for the first time moms who need a lot of hand holding, from diet-plan, menu-plan to hospital bag, from nausea to nursing she has answers to all your questions. My other friend in this yoga journey was Lara Dutta; yes, I ardently followed her YouTube video when I had to move to Gurgaon and did not have Rolly's classes to go to. This post wouldn't be complete without a picture of me doing the exercise with my full term baby bump. Thank you for reading; for other pregnancy and parenting related stuff from me do check out other posts on my blog. 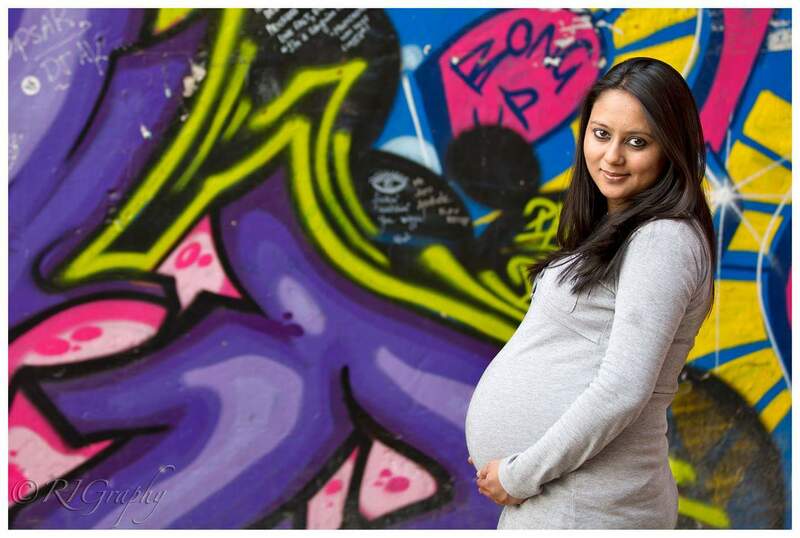 Thanks Rashmi, for the credits, my prenatal programme is not just exercises and lectures, but i feel that i become part of this special journey for each and every couple. And this association continues for years. Thanks and God bless. Many thanks to you for the work you do. :) Happy that our paths crossed.